In November 2012 I attended a Brave Heart Ball. It was organised by my friends and their families to raise money for CHUF (Children’s Heart Unit Fund). 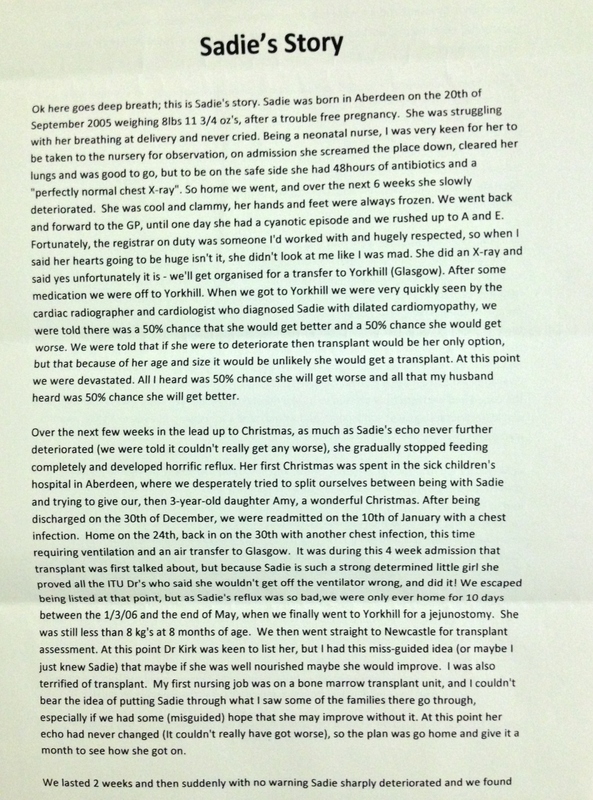 Their little girl, Sadie, received a heart transplant on 31st December 2012. 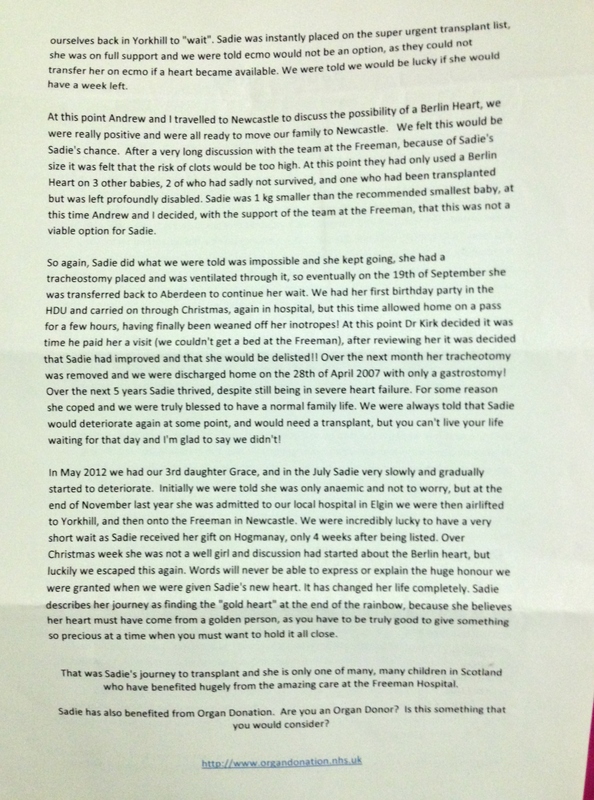 Sadie and her family’s story is quite amazing. I simply can’t imagine what they have been through and they are all so wonderful! The hospital where Sadie received the transplant is only one of two hospitals in the UK that has the facilities to offer paediatric heart transplants, with transplant numbers increasing to the point where the unit now provides almost half of the UK’s paediatric transplants. They have the expertise and support systems through their transplant service to allow them to undertake high-risk surgery. The family wish to show their appreciation to the hospital by raising money for CHUF so they can use part of the funds raised to create a garden for the children to sit and play, pre and post surgery and remain in a germ free environment. Last year, before he ball, the family and friends had already raised over £17000 and the Brave Heart Ball was another event they spent months organizing in order to raise money for this fantastic cause. Which it really did – they truly excelled themselves! I have no words left to write. This is the Just Giving page they have set up. Thanks for listening.